“No politician is any longer interested in the question whether a measure is fit to produce the ends aimed at,” Mises wrote in The Ultimate Foundation of Economic Science.“What alone counts for him is whether the majority of the voters favor or reject it. He previously served in editorial roles at The History Channel magazine, Intellectual Takeout, and Scout. He is an alumni of the Institute for Humane Studies journalism program, a former reporter for the Panama City News Herald, and served as an intern in the speechwriting department of George W. Bush. This article was first published HERE. So there were so many jobs that were "MacDonalds" jobs. ie they were so low paid that Restaurants could afford to employ two people where only one or none was necessary? Better to employ people at a decent wage than have then stooping and bowing to live off tips. Those that are no longer employed , ok tuff at the moment but hopefully they go and get a meaningful adequately paid job...how a respectable and reasonable economy and employment situation should function. 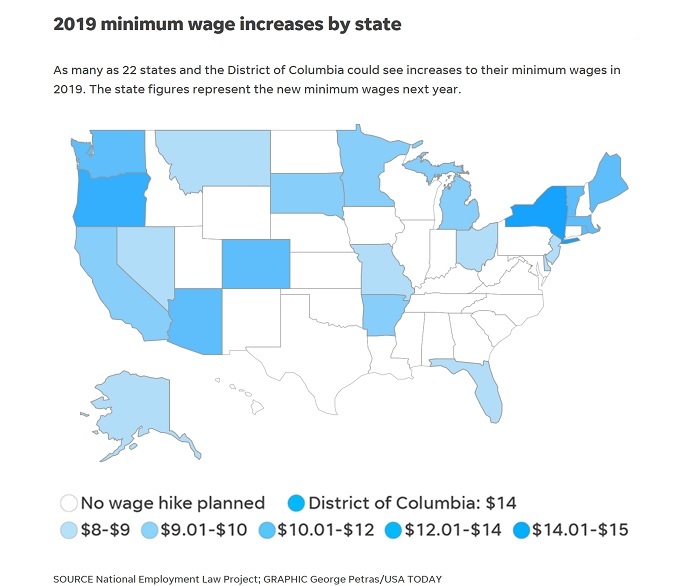 Finally, half the states still has no minimum wage and more than a few states have $7/hr minimum....I guess on this thinking, if wages were $3/hr, imagine how many peasants (oops Freudian slip)...people could be given full employment. Minimum wages are the single greatest barrier to get ahead. If your value to an employer is less than minimum wage how to you acquire the skills to be of greater value? You don't you join the demoralising dole queue clutching the worthless education diploma the government gave you. Everything useful in life I learned on the job and I was super lucky that employers not only trained me they were generous enough to pay me more than I was worth to them at the outset, with no need of action of the dead hand of politicians.